Take a theatrical journey to your creative core with award-winning theatre artist Kari Margolis and company members. 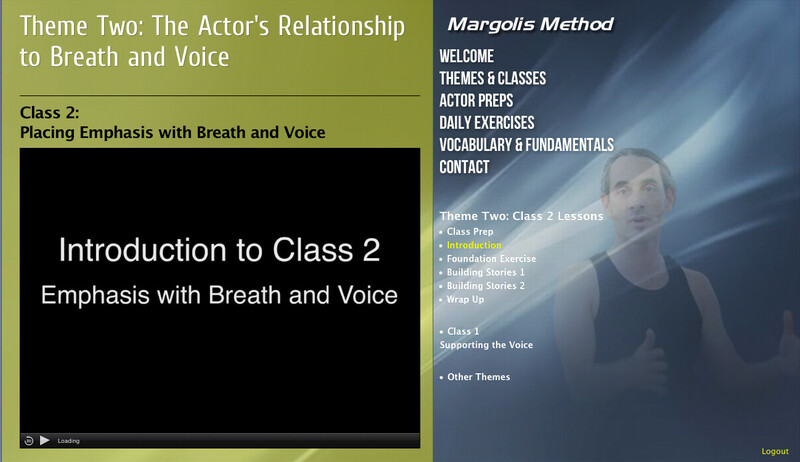 Margolis Method merges vocal and physical expression and brings together the skill sets of the actor, director and playwright. Learn to create on your feet, build an original theatre piece from a single breath, analyze and interpret pre-existing text in new and exciting ways, express pure emotions and take home scores of theatrical exercises you can apply to your next audition, performance or class. Leave inspired, energized and informed. Catch up on what we've been up to and upcoming programs! It may be winter, but we are fired up and hope you are similarly invigorated and inspired to make 2017 rock! MB ADAPTORS and Margolis Method had an action-packed 2016, and 2017 promises to be a breakthrough year of new programming and opportunities. MB ADAPTORS performance residency at Millikin University was a dream opportunity to further develop the HEADSHOT! Project. With the creative input of a phenomenal ensemble of 19, and a top notch support team of designers and crew the Residency allowed Kari, Tony and Jarod to grow HEADSHOT! in unexpected and spirited ways with songs, non-stop multimedia and 9 insanely evocative new characters. The magic of the HEADSHOT! project lies in the generous creative contributions of many artists, and we thank MB ADAPTORS company members and Barcelona artists whose imprint on the project runs deeps. 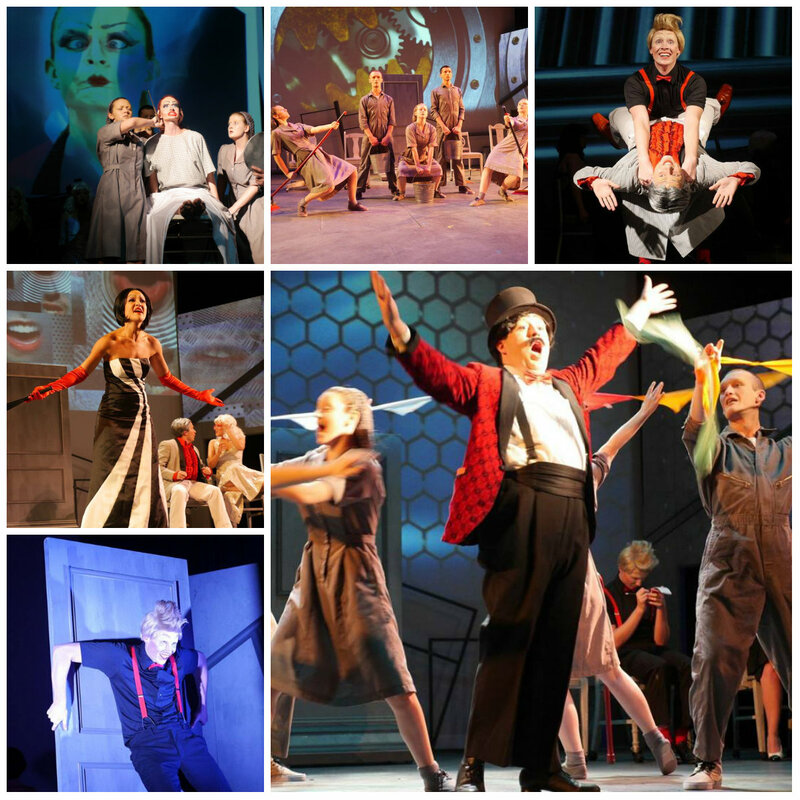 Huge thanks to Millikin University for supporting the creation of new work, and congratulations to them for being featured in blogs and magazines as a top Musical Theatre school in the US! 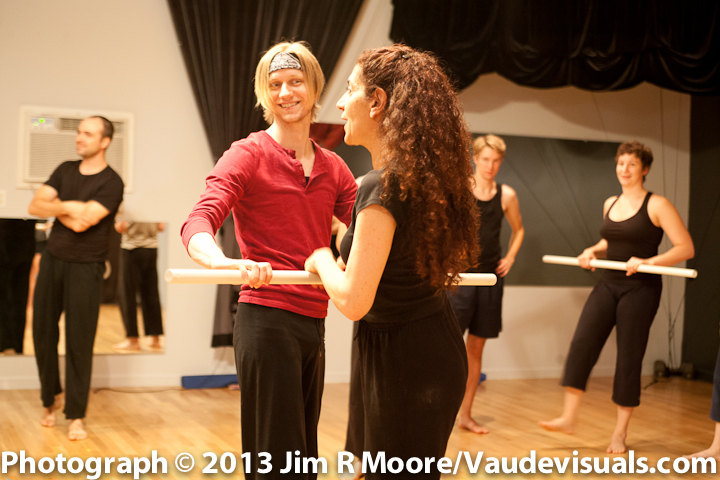 Click here for more information on Margolis Method Workshops & Residencies! Now in its third year the Margolis Method Barcelona Study Abroad Program 2017 did not disappoint! 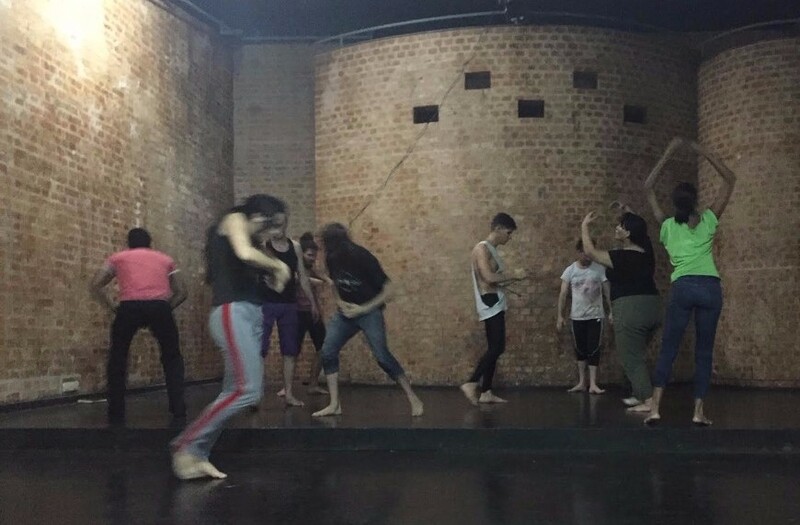 Students from eight universities throughout the U.S., the Institut del Teatre and professional theatre artists from Barcelona came together for a highly charged three weeks of intensive studio training. The experience exploded beyond the studio walls to include performances, lectures, a guided walking and bike tour, cultural events and of course -- tapas. Applications for next winter’s Study Abroad are already coming in. Click here to read what people are saying! MB ADAPTORS and Margolis Method’s plan of building a full time training, research and creation center is gaining momentum and receiving huge support from the cultural community. 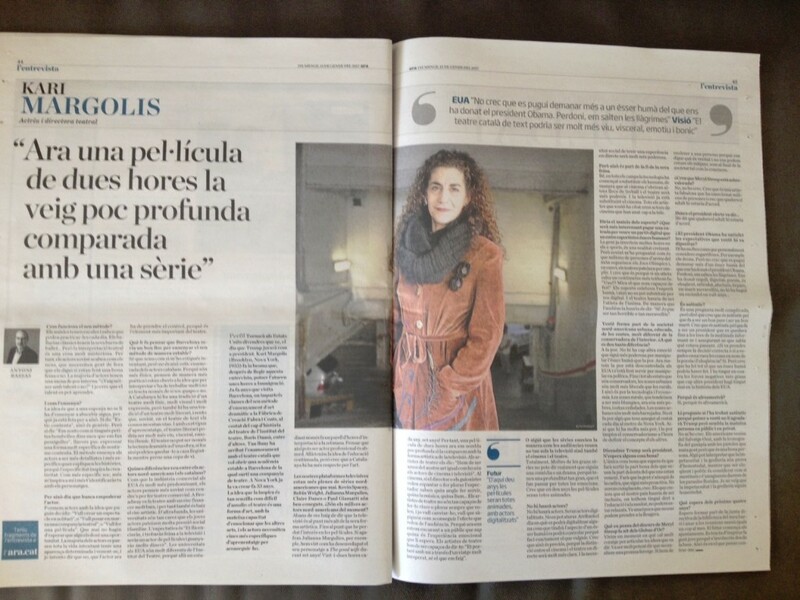 Most recently highly respected journalist Antoni Bassas interviewed Kari about her experience working with Catalan actors, the state of film and television, and her perspective on recent political events. MB ADAPTORS and Margolis Method are grateful to have such a culturally rich, beautiful and caring place to call a second home. As always we must thank Boris Dàussa Pastor for his ongoing support and amazingness! Six Week Conservatory opening in spring 2018. 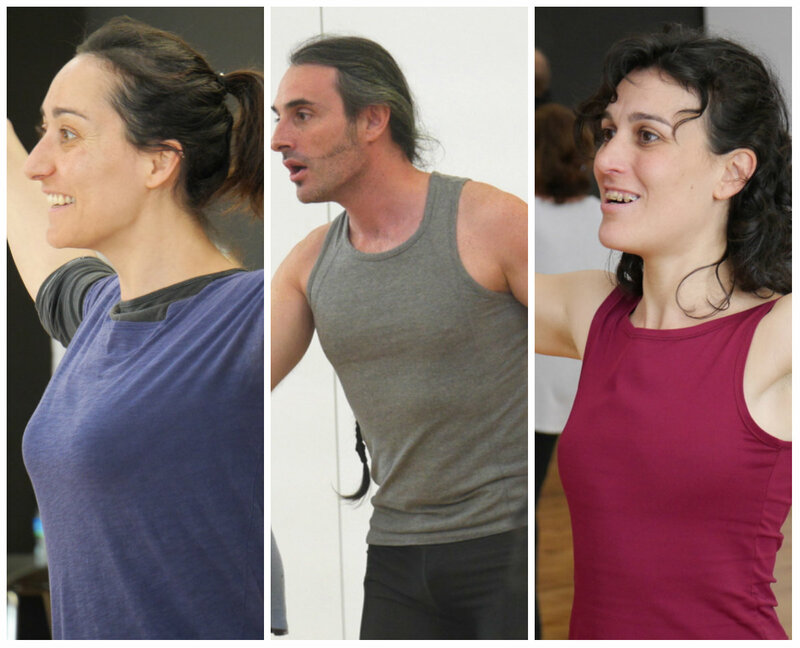 The ongoing Margolis Method Classes are now back to their regular twice a week schedule with renewed energy from the Study Abroad, and committed theatre artists are working away with Gema Sala, Núria Olivé, and Boris Daussà-Pastor. Margolis Method BCN classes started in October, 2016 and run thru June 2017, with each month covering a specific theme. The last week of each month is a Performance Lab that offers the training artists an opportunity to present original work created from a prompt based on material. 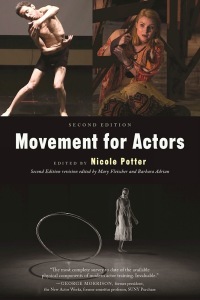 Kari has a new chapter in Allworth Press' second edition of Movement for Actors. 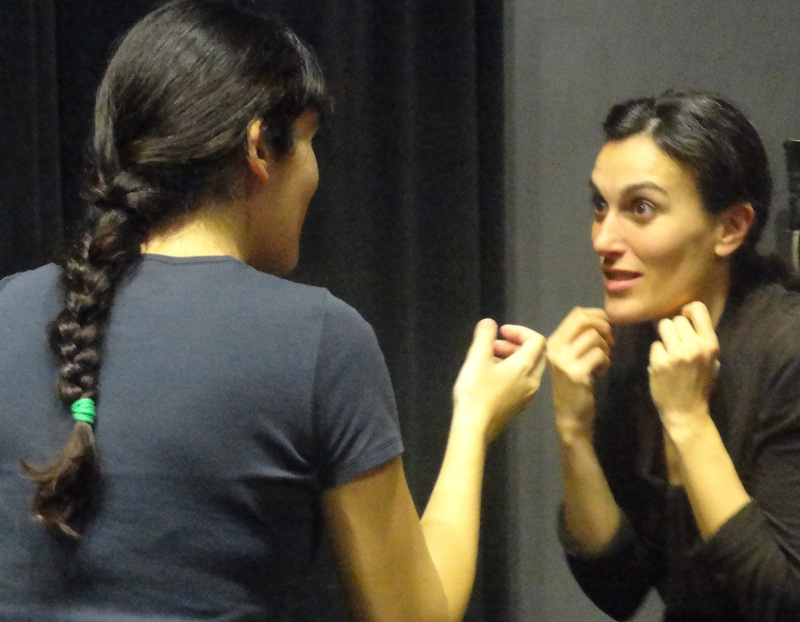 Kari discusses the importance of an integrated acting method that empowers actors and allows them to embody the skills of the actor, director and playwright. If you've read the first edition it is certainly worth checking out this new one -- it also has writing by several new artists from the first edition as well. Special shoutout to the input and editing of Jarod Hanson and Beth Brooks! It takes a village (especially now!). WOWZA! To say we are excited to dive into the new 12-Week Conservatory is an understatement. We have an exceptional group forming from across the US and Barcelona and fantastic new Artist Housing right on the banks of the pristine Delaware River. Eagle watching and swimming are perfect compliments to working our butts off in the studio. Mornings will be dedicated to training with afternoons focused on the creation of individual and ensemble work to be performed at the end of the Conservatory. We are presently seeking two more mature, focused and ensemble-minded artists to join us. That’s right! Just two places remaining open. With our Professor Certification Program heading into its seventh season and a powerful group of Certifying Professors returning for higher levels of training it is time to offer this new Introductory workshop.This one-week Program is the perfect way for Professors new to Margolis Method to explore and interact in an environment shaped especially for them. It is also an excellent opportunity for those more familiar with the Method to review and dig deeper into fundamental concepts and exercises. Professors who have completed the Introductory workshop are eligible to enter the Certification Program (and meet and work with an extraordinary group of teaching artists working at all Levels of Certification). Work with like-minded colleagues from around the world and discover exciting ways to integrate Margolis Method into your existing syllabus. Summer Program Celebrates 34th Anniversary and is Filling Fast! With 34 years of experience we know that even in February, summer is just around the corner -- and as of today, we have only 5 places remaining open! Join us for a memorable and transformative three weeks. Experience the perfect artistic retreat where you can focus on intensive training in a challenging yet supportive environment. Partake in collegial interaction, create solo and group works and enjoy all that the beautiful Delaware River Valley has to offer. Spectacular artist housing is included! With the ever-growing presence of Margolis Method in theatres, universities, high schools and Online we are proud to announce the first International Conference and Call for Papers. Stay tuned for a definition of the theme and deadlines for submission and registration. 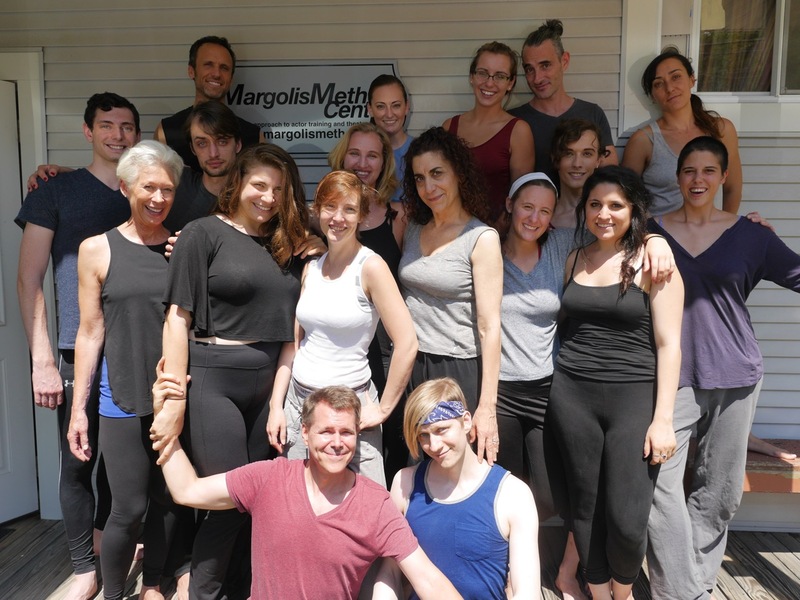 It’s hard to believe that Margolis Method Online is already in its second year of offering dynamic, in-the-studio training experiences to an ever-growing group of empowered theatre artists across the globe. Along with a major infusion of new Themes, Classes and Lessons over the next few months, look out for announcements of exciting upgrades to the platform that will further enhance the creative learning experience. With 150 lessons already available you can dive in for hours at a time, or just take a short ten minute dip. Either way the response has been phenomenal. We are motivated by the positive feedback and blown away by the progress we seen made by artists uploading footage for feedback and thru skype sessions. We are thrilled to have Patrick Demers join us as Director of Development & External Relations. With all the growth MB ADAPTORS & MARGOLIS METHOD CENTER is making both in the U.S. and Barcelona it is time to expand our core team and increase our ability to create and present new work as well as offer training and creation opportunities to others. Patrick Demers has dedicated his career to creating, directing and producing contemporary theatre. He was first introduced to Kari Margolis and Tony Brown in graduate school at Arizona State University, and has been interested in working with MB ADAPTORS company ever since. Among many other projects Patrick, with co-Founder Jonathan Beller, created and produced the Phoenix Fringe Festival to provide emerging artists an affordable venue to present their work. Patrick is proud to now be joining this phenomenal group of artists who have created such a unique and formidable movement in world theatre. Kari has been a Master Teacher for the National Kennedy Center American College Theater Festival for 15 years, and this year was also Head of the Devising Initiative for Region I. Kari and Jarod together led four workshops each focusing on a different theatrical device for creating theatre. It was an exciting whirlwind of an experience and over 70 students partook in the workshops..
Our First Margolis Method Next Steps Scholarship Recipients! 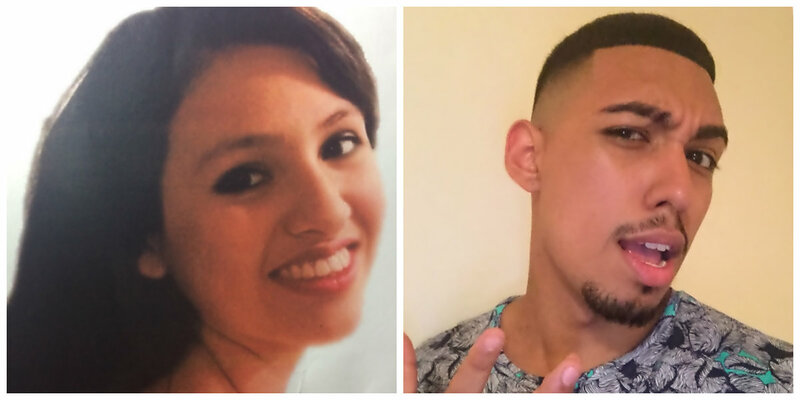 It is our pleasure to announce that Genoveva Vargas Camacho, Derick Cardenes and Kristina Paul are each being awarded a Margolis Method Next Steps Region I Scholarship toward our Barcelona Study Abroad, 2018. 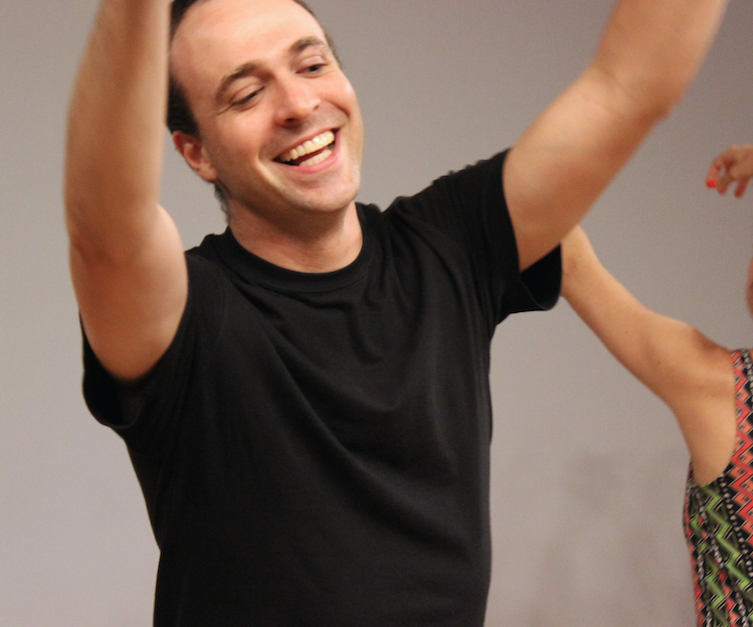 Kari and Jarod returned for a fifth season to Rhode Island College to work with Musical Theatre and Acting majors. We’ve seen entire classes grow from freshmen to seniors, graduate, and even return for workshops! RIC Alum Jackie McCoy, who is now working toward Margolis Method Professional Certification, was there to add her charisma and charm! Thanks to Bill Wilson, Director of Musical Theatre at RIC, who we are also proud to say is a certifying Margolis Method Professor! We saw many new and familiar faces amongst the fantastic LaGuardia students and NYC acting community. We look forward to making this an annual event, as well as to seeing our amazing host Stefanie Sertich this summer at the Center for her third season of Margolis Method Professor Certification. Boris Daussà-Pastor was Keynote Speaker at the annual conference of the Indian Society for Theatre Research. The Keynote presented Margolis Method as revolutionary it its approach to theatre training as its principles are founded on physics, the purest form of storytelling, and can thus be applied to all conventions of performance from Western theatre to Kathakali or to any aesthetic or style. 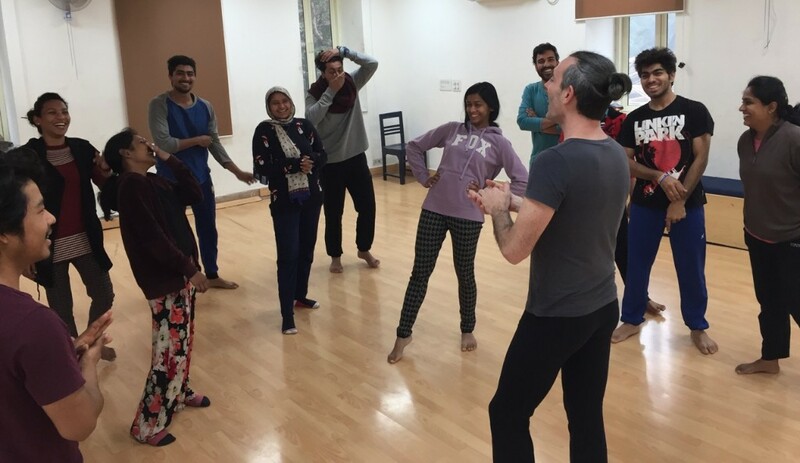 Boris also led a three-day workshop at the conference for more than 30 students as well as a Margolis Method workshop in Delhi, at the prestigious National School of Drama. There are already plans for future Margolis Method training in India. The actor training revolution is expanding across the globe! Erik Hoover is offering a ten-week Margolis Method workshop this Winter! 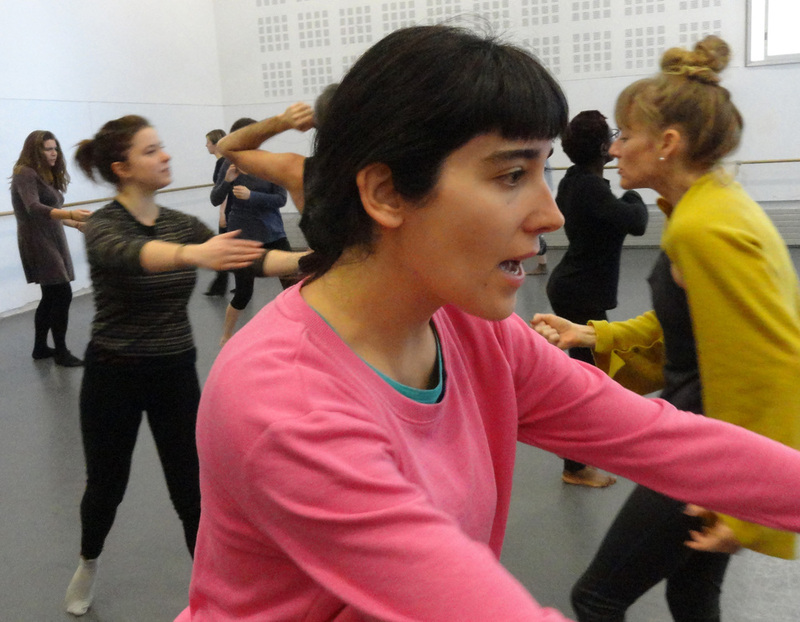 The workshop will focus on Margolis Method’s organic melding of text and muscular expression. Combustible Company makes extensive use of Margolis Method as part of its creative process. Ian Bivins has ongoing Margolis Method classes at the Sylvia Center for the Arts. Classes meet weekly to explore the Method's creative, theatrical structures. Bellingham has its own growing group of Actor Warriors! Stay up to date on everything we've been up to as well as upcoming workshops and training opportunities! Here we go! As hard as it is to believe, we are heading into the 33rd Anniversary of the MB ADAPTORS company and Margolis Method programs. 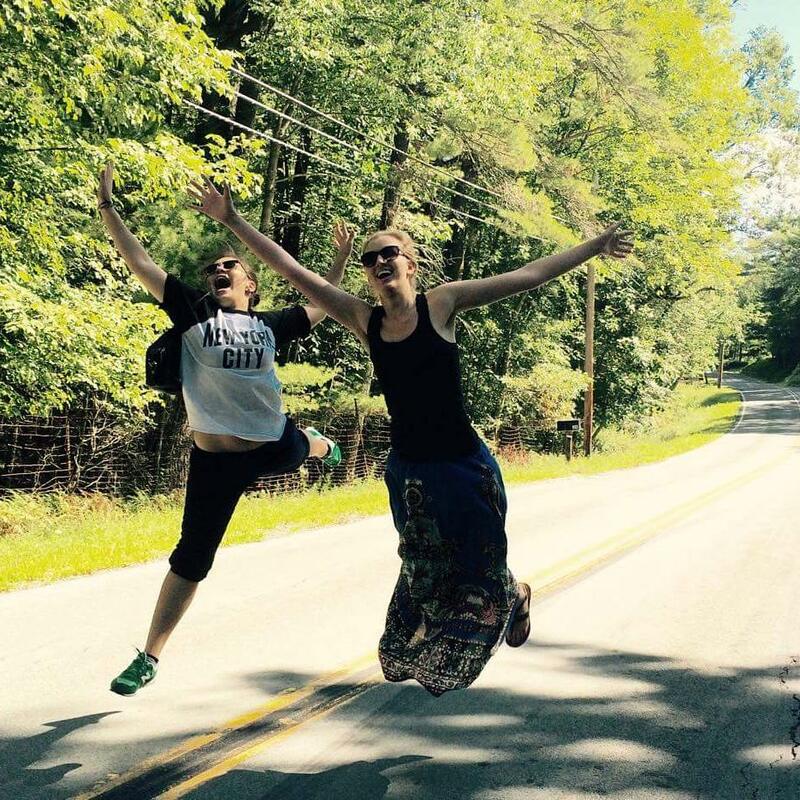 This will be our 11th season in beautiful Highland Lake, NY, and while I never envisioned myself at a “country girl,” this magical setting, just 90 miles from NYC, has been a very special home and place of incredible artistic growth for so many. But this in not just a place of memories. The Center is active all year with the shooting of the Margolis Method Online Learning website, research and development for MB ADAPTORS productions and projects and of course ongoing training. In a time when the making of theatre has so many odds stacked against it, I feel very lucky to have a studio to call home and so many incredible artists to share it with. I can hardly wait for the Summer 2016 Programs to begin. My only regret is how fast it all will fly by. On this note, we are turning our focus to building more longterm Programs both here in New York State and in Barcelona as well as working with artists year round via the Online Learning site. The adventure goes on and I look forward to sharing it with all of you! Entering our sixth year of the Professor Certification Program makes us take pause to consider how the Program has grown, and the deep and meaningful connections we have made with so many participating teaching artists. Professor Certification is a special track of certification developed so that professors can integrate Margolis Method exercises, improvisation structures and principles into their existing syllabi. Many professors are returning this summer for their third, fourth, fifth and sixth year of participation. To say the working atmosphere in the studio is one of interconnection would be an understatement. These two weeks just fly by and are filled with much laughter, tears and the deep sharing of process. 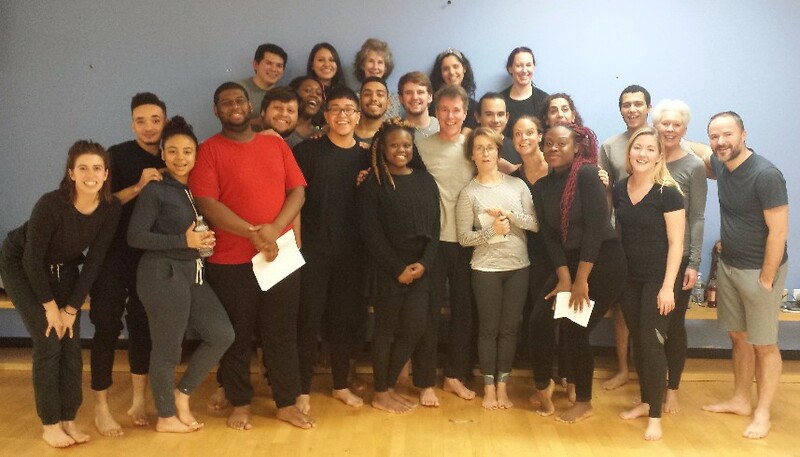 Certifying teaching artists have become tremendous advocates for the Method and through their energies the MB ADAPTORS and Margolis Method faculty have had the opportunity to interact with hundreds of students. This year we would like to thank Maggie Anderson for organizing a weekend residency at Temple University, Elizabeth McCormick Smith for organizing a workshop at Parkland H.S., Belinda Mello and Stefanie Sertich for organizing a weekend workshop in NYC hosted at La Guardia College, Bill Wilson for organizing a weekend workshop at Rhode Island College and Jennifer Stott Madsen-Whalcott for hosting a weeklong residency for singers and singing teachers in the Salt Lake City area. We look forward to spending six weeks with Denise Myers at Millikin University, a place Denise has turned into a creative haven. The mantra for Summer 2016 is FOCUS and GROWTH. We are adding an extra hour to each day’s session and will be developing several solo and group projects over the course of the three weeks. With a serious group of Certifying Artists that has grown over the last three years, and many artists joining us for the first time, we will be dividing into two groups in the afternoons to allow for maximum personal attention to artists at all levels of training within the Method. Mornings will allow for Spiral Learning with the side by side interaction of all the training artists working together, giving, taking and making each other stronger in true Margolis Method fashion. Faculty for Summer 2016 is Kari Margolis with Lead Faculty Jarod Hanson and Jonathan Beller and Gregory G. Schott. While we are excited to announce that this season’s program is full, we are sorry we can’t accommodate all the artists who wanted to register. With so much interest and limited space, we are announcing the dates for Summer 2017 and are already accepting applications! Last winter’s experience was exceptional. We attended performances that ranged from EL PÚBLICO by Federico García Lorca at the National Teatre De Catalunya to Nàufrags (Castaways), a visual theatre show where puppets and objects shared the stage with the voice and live music of the singer Bikimel at the beautiful Mercat De Les Flors theater. We were also wowed by world class Flamenco dance and music in the intimate setting of the club Tarantos. Riding through Barcelona on a bicycle is one of the most joyous experiences, and the holiday spirit at this time of year infuses the bustling street life with a special charm. Boris Dàussa Pastor’s theatre lectures are packed with information and interesting perspectives. Margolis Method workshops led by Kari and assisted by Gregory G. Schott, Boris Dàussa Pastor, Núria Olivé and Gema Sala were full of major breakthroughs, discoveries and growth. We are presently accepting applications for next winter’s experience, which is filling up sooner than ever! If you are interested we suggest you contact us as soon as possible. Since its launch in November 2015, the MM Online Learning site has more than doubled in size! With new lessons uploaded every two weeks, the site now offers more than 100 lessons to choose from. Lessons are organized into Classes, Actor Preps, Daily Exercises and Fundamentals and Vocabulary. You can work for hours at a time or grab a quick ten minutes of information and inspiration. You can work completely on your own and/or also interact with Kari and Jarod by uploading videos for personal feedback and instruction. Coming soon will be the ability to sign up for personal Skype sessions as another means to keep your artistic growth moving forward. Online Members also receive a bi-weekly Newsletter that discusses the new lessons, features one Artist Member and shares what other Online Members are up to. A dynamic and active community of training artists is building worldwide and we are excited by their artistic growth and the positive feedback we have received. Our initial registration period ended January 15, 2016. Registration will re-open on June 15th, 2016. At this time we will be accepting a limited number of new members, so if you're interested, act fast and join this international group of Online Actor Warriors! The Professional Certification Program is designed for artists committed to advancing their training to become empowered teachers of Margolis Method as well as official Faculty of the Center in NY and Centers across the country and abroad. Lead Faculty Jarod Hanson has been working closely with Kari to oversee the development of the Program as more artists have declared their interest in pursuing Professional Certification. We're excited to have so many Certifying artists attending this Summer's Program and will be devoting many afternoons to advanced training sessions focused on their personal growth and honing technique and teaching skills. The Online Learning Program has been an invaluable tool to continue each artist's growth outside of the workshop/classroom setting. The drive and artistic hunger of these artists is also an impetus to building a full time training program, the development of which is underway both at home and abroad. As specific eligibility requirements and guidelines become codified, they will be made public on the website, so if you're hungry for advanced training, mastery of your craft and becoming a teacher of Margolis Method, stay tuned and keep on training! Watch out, the HEADSHOT! project marches onward, upward and all around! With newly conceived multimedia craziness, and the unleashing of a year of creative thinking and planning, Kari, Tony and Jarod will be intersecting with the exceptional theatre and music theatre students at Millikin University for a six-week residency. 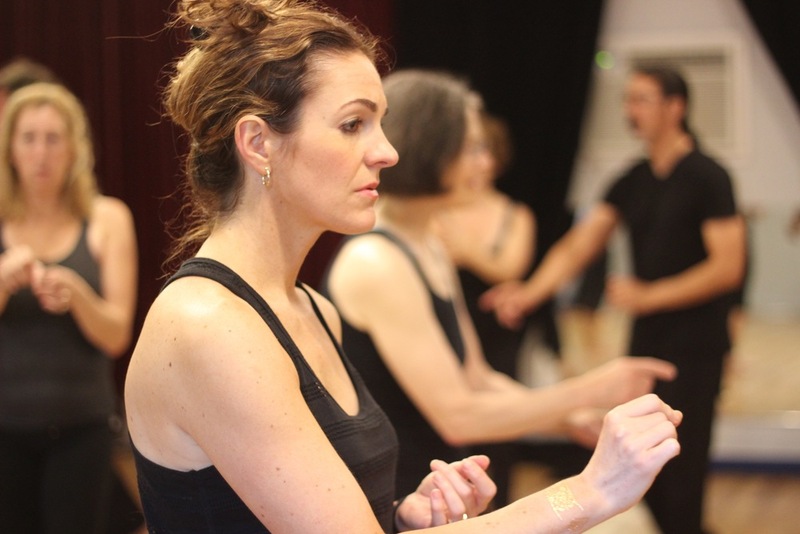 Millikin has hosted Kari and Margolis Method workshops and residencies for many years. Professor Denise Myers is a level 3 Certified Professor and many Millikin actors have made the journey to the MM Center or to our Barcelona Study Abroad Program. This in-depth history with Millikin will allow us to jump in and start working at a high level of interaction with the students. Design meetings have been in progress for the last few months. Working on HEADSHOT! at this level at Millikin is very special because the earliest seeds of the production were first developed there at a short residency two years ago. We can hardly wait to jump in and see where the HEADSHOT! journey will take us. As part of the Fox Foundation Resident Actor Fellowship, Joe Wilson Jr., Company Member of Trinity Repertory in Providence, RI (a TCG Member theatre), is working with Kari, Tony, and the MB ADAPTORS to develop a new theatrical production entitled Portrait of a Silk Thread, exploring the music, experiences, and themes of the life of legendary jazz great, Billy Strayhorn. Kari will be making her second trip to Salt Lake City to lead a weeklong intensive workshop geared towards singers and singing teachers and open to all theatre artists. These workshops are hosted by Jennifer Stott Madsen-Whatcott who is both a certifying Margolis Method teaching artist and highly regarded singer and singing coach. Kari is looking forward to continuing to work with several singing teachers from last year’s workshop as well as expand the group of theatre artists working with the Method in the Salt Lake City area. While in Utah, Kari and Jennifer will be designing Margolis Method singing classes to be uploaded to the MM Online Learning website. 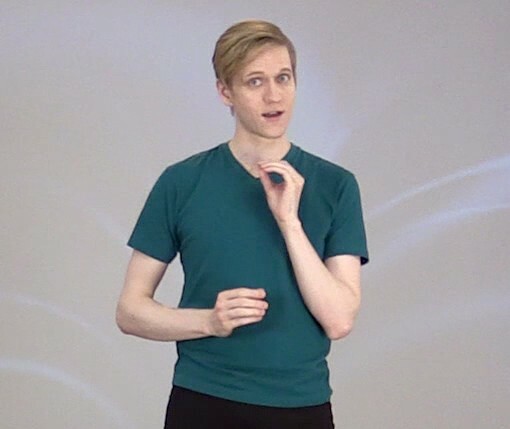 The inimitable Ian Bivins will be leading Margolis Method Master Classes starting Saturdays in June at Bellingham's new venue, the Sylvia Center for the Arts. Momentum is building in Barcelona for the creation of a full-time training program and wing of the MB ADAPTORS performance ensemble. On June 8, our Catalan counterparts Núria Olivé, Boris Dàussa Pastor, and Gema Sala will be joined by coordinator Carme Saldó and Study Abroad Communications Assistant Elisenda Bassas to introduce the press and media to an overview of Margolis Method and a vision statement and timeline for the full scope of the project. Kari and Jarod returned to Rhode Island College for their fourth year to work with the amazing young artists there. The ability to develop an ongoing relationship with students from year to year offers an incredibly enriching experience for us as well as the students. Bill Wilson, Certifying Margolis Method Professor and Director of Musical Theatre at RIC has been instrumental in bringing us back year to year, and his own work with the students is evident in their focus, generosity, and discipline. Boris Dàussa Pastor taught a four day workshop at the Instituo Superior de Arte (ISA), School of Theatre in Havana, Cuba. Instituto Superior de Arte is the official school of theatre in Cuba, training actors, directors, and theatre scholars. 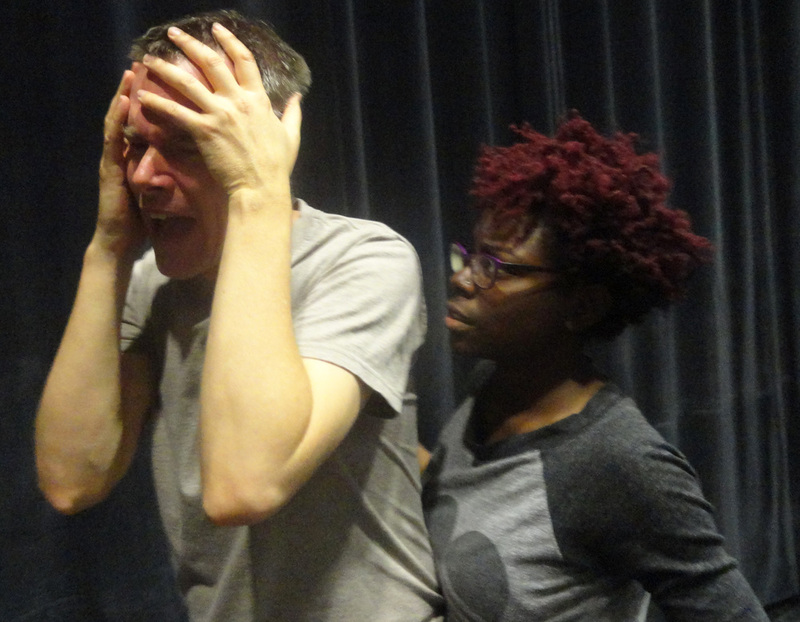 Certifying Faculty Erik Hoover has been leading weekly research/training sessions with other Certifying and advanced Margolis Method theatre artists. It's been exciting for Kari and Jarod to be able to work with this high level group through the Margolis Method Online site by providing thoughts and feedback on their uploaded footage. The Catalan Faculty Have Been Busy! Our formidable Catalan faculty in Barcelona (Núria Olivė, Boris Dàussa Pastor and Gema Sala) are rocking it out and blowing minds! 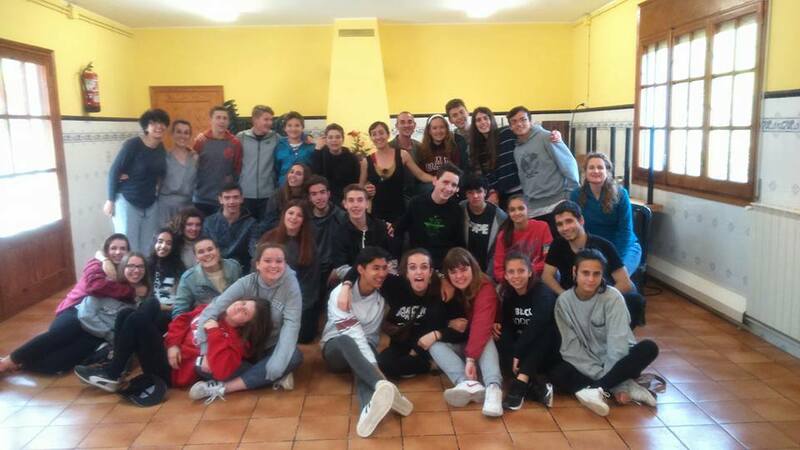 Thank you Engruna Teatre for hosting this daylong theatrical workshop of training and performance. The team taught all day and then performed excerpts from HEADSHOT! created especially for this workshop. It is exciting and one of the many steps leading up to ongoing Margolis Method classes starting in Barcelona in the fall and a full time Program to follow. 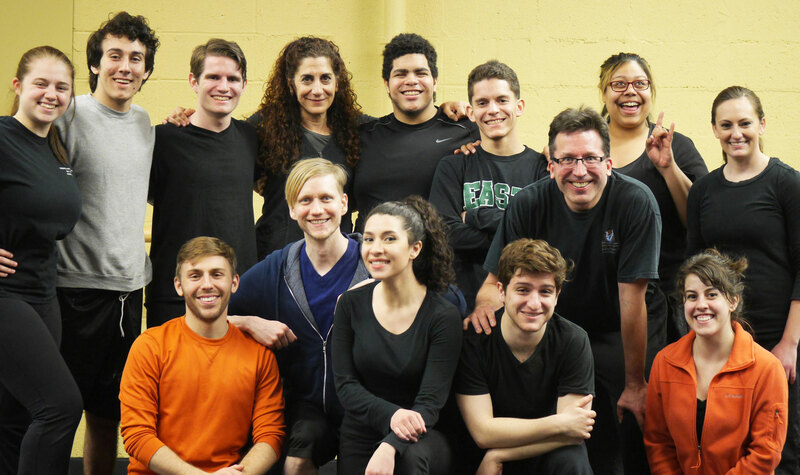 Faculty member Jonathan Beller has forged SUNY Schenectady College's theatre department as a 100% Margolis Method training program. As the first department of its kind, it's a model for how to empower theatre artists within the academic setting. 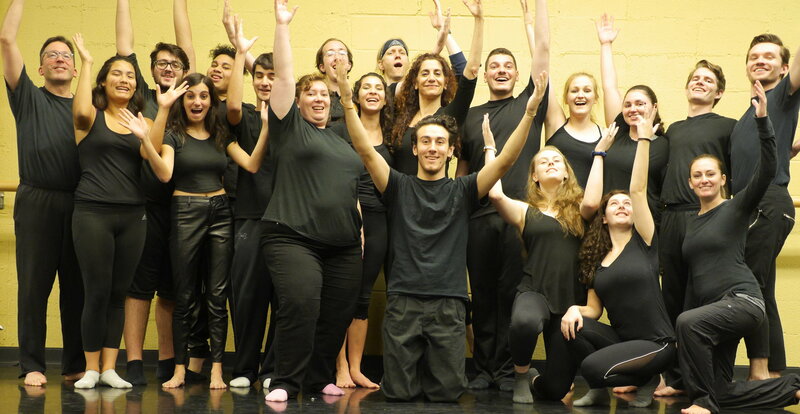 He led the creation of an original theatrical production with Schenectady College students entitled Alienation, and the inspiration he instills in his students shone forth in the creativity they brought to this quirky, charming, and thought provoking piece. 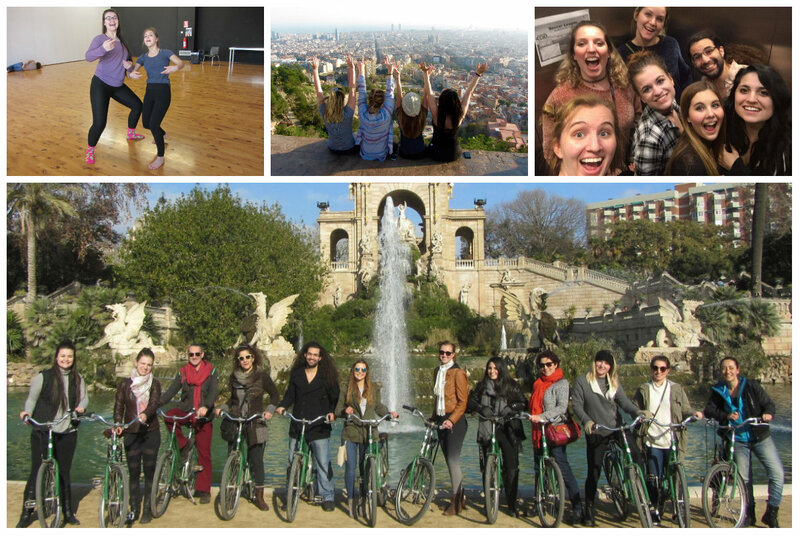 Our second annual Barcelona Study Abroad Program exceeded all expectations! Kari was joined this year by Gregory G. Schott in addition to Certifying Catalan Faculty Núria Olivé, Boris Daussà Pastor, and Gema Sala. The experience included 24 hours per week of intensive Margolis Method training, guided walking tours, bike tours, lectures, a wide range of performances, and of course, tapas! The combination of North American and European artists makes for a magical experience in and out of the studio, and speaks to the power of the Program. A SPECIAL HOLIDAY GIFT FROM MARGOLIS METHOD ONLINE! Happy Holidays from all of us at the Margolis Method Center! As part of the giving spirit, we are offering one free upload of your work for personal feedback to all new (and continuing) members, good thru our January 15th, 2016 25% discount on annual memberships. The response to the site thus far has been incredible. This is what Maggie Anderson, Theatre Professor at Temple University had to say: "The experience is so complete on so many levels - visceral, intellectual, emotional - as well as application of critical thinking skills, reflection, and self-evaluation." Join now and be empowered and inspired. Start the New Year as part of a powerful, international group of Actor Warriors! We've been hard at work populating the site with new video lessons including stances and glossary definitions. These demonstrations offer a ton of valuable information and insight on fundamental concepts. In addition, we'll be releasing THEME TWO: Embodying the Sensation of Sound in JANUARY! We're so excited to be releasing an entire theme that covers the actor's relationship to the voice--one that is fully embodied, connected, and supported. Stay tuned for a more in-depth update! 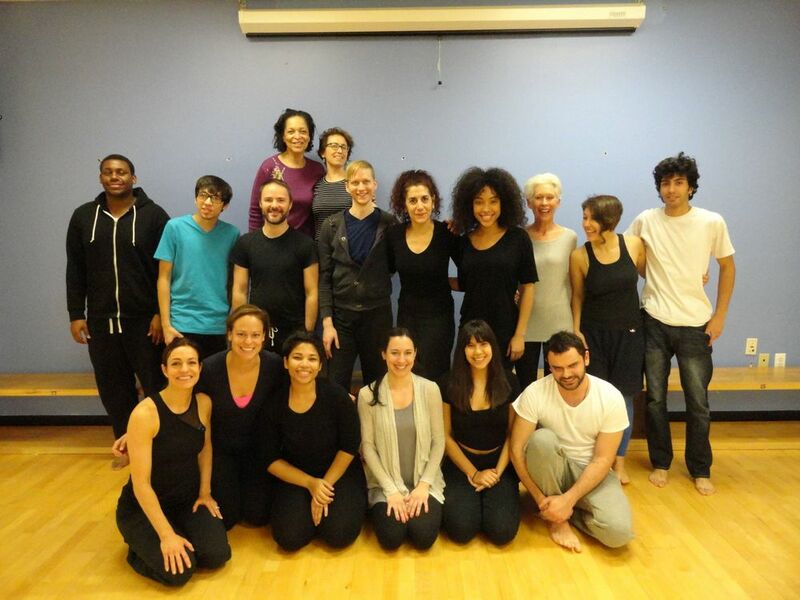 We held a weekend workshop in NYC at LaGuardia College on Dec 12-13. Many training Professors joined us as well as a great group of new artists to the Method. We're always so thrilled to form new connections with insightful, creative, ambitious artists. Happy Holidays and a CREATIVE New Year from all of us at the Margolis Method Center! Our 2015/16 Barcelona Winter Study Abroad Program is fast approaching! We've received an incredible response and enthusiasm, and are so excited to offer an inspiring and enriching opportunity for traveling students as well as continue developing a rich, creative relationship with Barcelona Artists. Kari and Faculty member Gregory G. Schott will be working with students, along with Barcelona Certifying Faculty Boris Daussà Pastor, Núria Olivé, and Gema Sala. Kari and Gregory embarked upon an action-packed Midwest Residency/Workshop Tour this fall, working with motivated artists, both familiar and new. At Millikin University, Kari gave a lecture on Entrepreneurship to a very engaged group of students who asked fantastic questions. Kari and Gregory then offered two evening workshops to over 40 students of seasoned teaching artist and veteran of Margolis Method Professor Training, Denise Myers. One can feel the impact Denise has made and the students enthusiasm and knowledge of the Method was palpable. Denise will also be incorporating Margolis Method Online Learning into her core curriculum. At the JUST OFF BROADWAY THEATRE, In Kansas City, MO, Kari and Gregory had wonderful opportunity to reconnect with the Kansas City theatre scene and many actors who have continued training in the Method after seeing MB ADAPTORS production of CYCLOPEDIA. These workshops were produced by Byrd Productions. Kari is proud to have been a guest artist many times at the Guthrie Theatre in Minneapolis, MN, and she, Gregory and Erik Hoover were thrilled to interact with a packed workshop of Twin Cities theatre artists. They also offered a private workshop for the growing group of Certifying Artists living and working in Minneapolis. It was then off to Temple University in Philadelphia, PA (home of Professor Training alumnus Maggie Anderson), where Kari gave a keynote speech and workshop. Maggie has done tremendous work at Temple to integrate the Method into her teaching, and it absolutely shows! 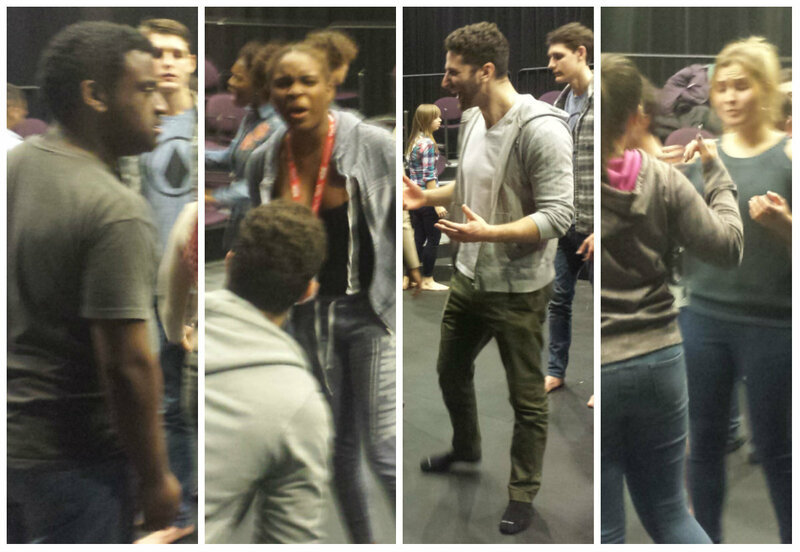 Both workshops were filled with focused actors ready to jump in and take advantage of every moment. 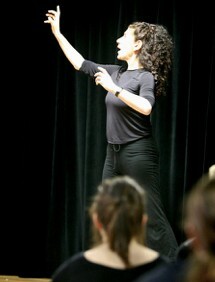 Parkland High School in Allentown, PA was next, where Kari returned to work with theatre students of Elizabeth McCormick. This growing relationship between the Margolis Method Center and Parkland High School is an exciting model to bring the Method's empowering tools to younger artists and provide them with a strong foundation to their craft. Elizabeth will also be incorporating the upcoming Margolis Method Online Learning Program into her class curriculum. It was an extremely satisfying adventure and Kari and Gregory were able to meet and work with over 400 theatre students and professionals. The fifth season of our Professor Training saw our biggest enrollment yet, with sixteen dedicated teaching artists from Utah to Puerto Rico! 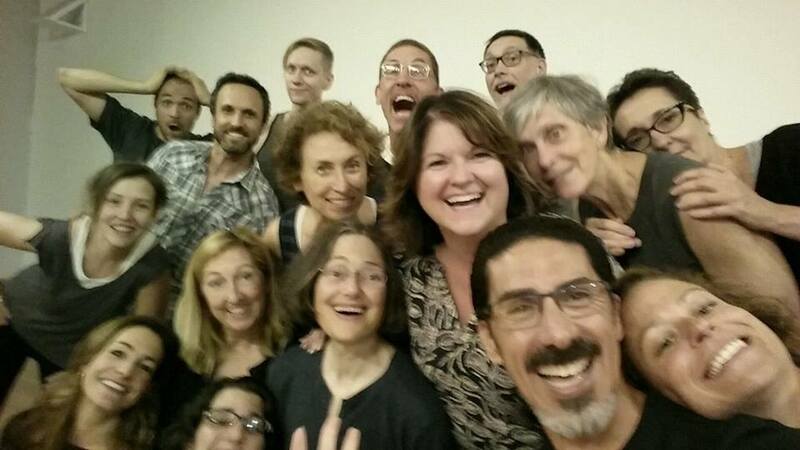 Several new professors joined returning teaching artists to create a group with incredible energy and focus toward enhancing their teaching skills and syllabi with Margolis Method exercises and improvisation structures. Denise Myers and Jennifer Stott Madsen-Whatcott completed their Level III Certification. Both are true champions of empowering artists to become Actor Warriors! They will continue their training and honing their specialties. Jennifer is focusing on Margolis Method's powerful application for singers and Denise brings more Margolis Method to every class and directing opportunity. Summer Session also saw its biggest enrollment, and the studio was energize by 22 new and returning training artists who brought tremendous creativity and a hunger to learn. The growth these artists made was substantial and inspiring for the entire faculty--a teacher's dream! 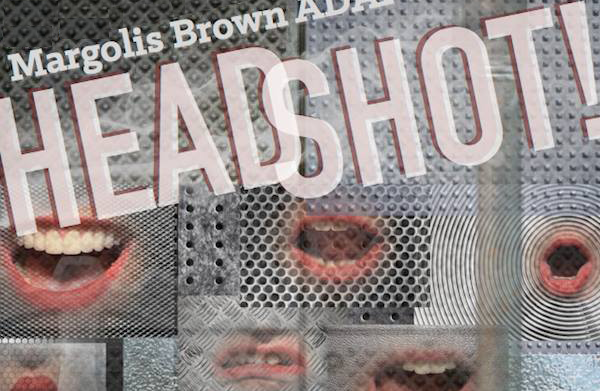 Many scholarship recipients contributed invaluable hours to make the MB ADAPTORS' production, HEADSHOT!, a huge success. In doing so, they also learned many new theatre-making skills. It was a fantastic opportunity for the training center and professional company to work in concert. Our big summer season is fast approaching, with both the Professor Certification and Summer Program SOLD OUT! 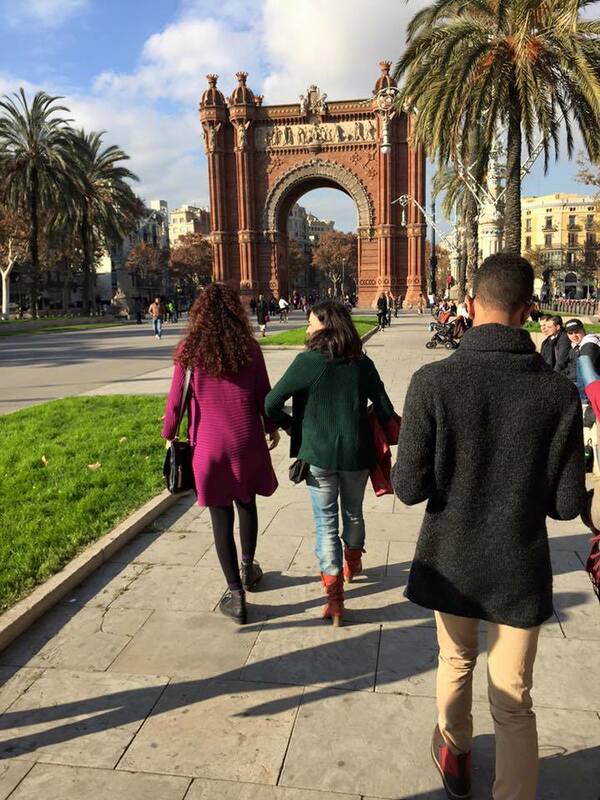 Our inaugural Barcelona Spring Break Study Abroad Program was a tremendous success! We were joined by an outstanding group of creative, generous, and focused artists and enjoyed meeting, working and sharing this glorious city with everyone. 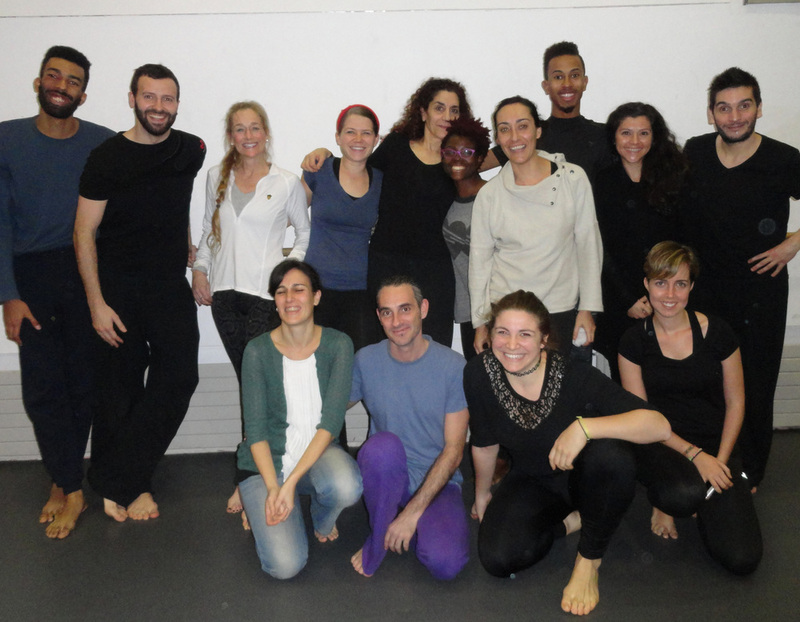 Students participated in one (or both) of two 1-week sessions, with each week including over 20 hours of Margolis Method training, 5 hours of Barcelona theatre seminars, an exciting array of local and international theatre performances, a private guided walking tour as well as ample time for sightseeing and organized cultural activities. Our enrolled artists trained alongside local Catalan actors for a truly multicultural experience in and out of the studio. We’d like to thank each and every artist who registered for bringing such focus and openness of spirit to help make the program launch such a joy. With the success of this year’s program we are already planning for next year, and considering adding a two-week Winter Study Abroad Program to the roster. Stay tuned for more details! Don't miss this special opportunity created just for professors! 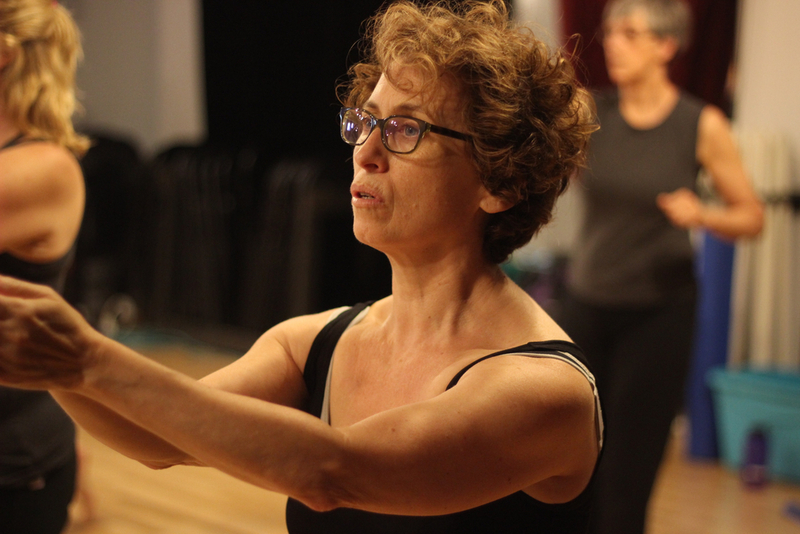 Join award-winning theatre artist Kari Margolis, MB ADAPTORS Company Members and teaching artists from across the country for a two-day introduction and exploration of the Margolis Method and its dynamic merging of the Actor, Director and Playwright. Designed to be both experiential and pedagogical, this workshop is especially developed to introduce professors to Margolis Method and is a great experience on its own as well as a perfect entryway into the more in-depth Professor Certification Program. 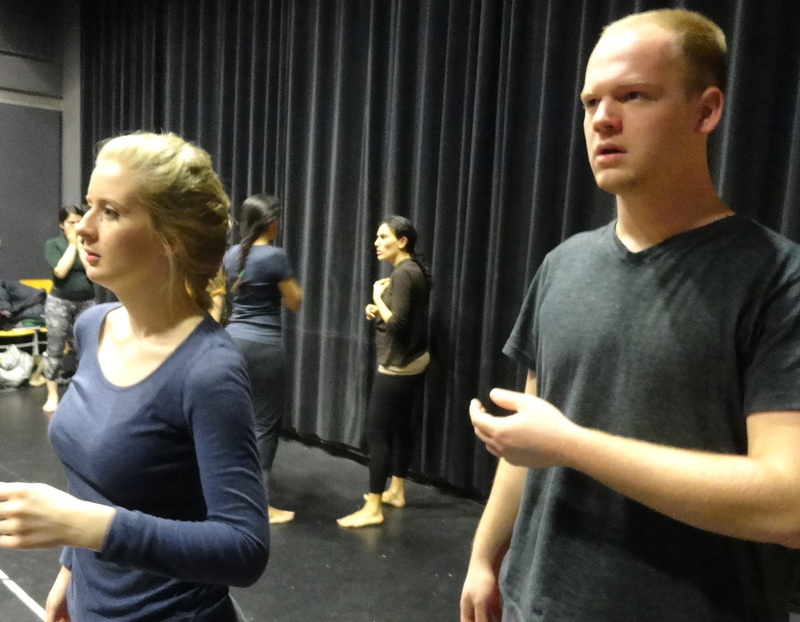 Embark on a Theatrical Journey to your creative core while enhancing your curriculum! This NYC Workshop is sponsored by Belinda Mello and Janice Orlandi. We’d like to take a moment to thank all of you who have made PHASE II of this international project in Barcelona possible! Because of the overwhelming amount of support we have garnered in the first week of this campaign, we are announcing our first Stretch Goal. Your help in continuing to spread the word will make Phase III possible -- the bringing of our Catalan collaborators to Highland Lake, NY in Summer 2015, to create and present the next level of the HEADSHOT project. We are seeking an additional $4,000 to help pay for travel, housing, theatre rental, and production expenses. The results of this Phase III will allow the company to begin booking the HEADSHOT project in both the United States and Europe. We just need a little more of your energy and enthusiasm to keep going strong! SPRING IN BARCELONA ANYONE? 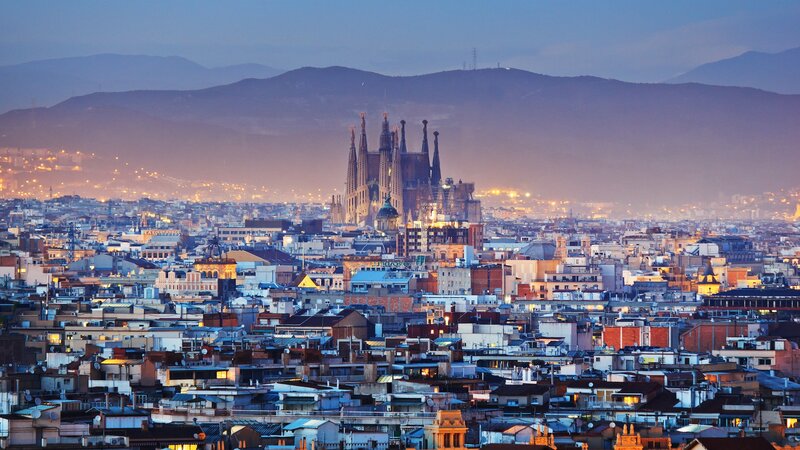 We are officially announcing our Spring Break Study Abroad Program in Barcelona! You can register for either one or two weeks. March 7th -15th and/or March 14th - 22nd. The Program includes 23 hrs. 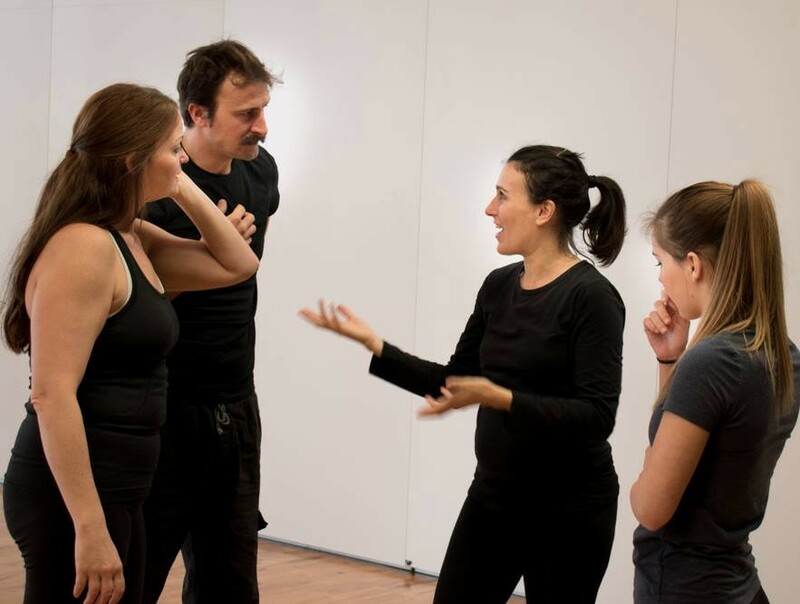 of Margolis Method Training, 2 performances including talk backs with artists, 2 seminars on Barcelona Theatre History and cultural activities. For more info. contact us at margolismethod@margolismethod.org. We will also be leading training and performance workshops in October and November that are also open to the general public. Just ask - margolismethod@margolismethod.org. Hard to believe the summer 2014 is wrapping up--it was truly magical in every way possible! The second 3-week leg of the Summer Session really picked up on the creative energy and momentum of the first session. A mix of new and familiar faces joined us for more creative research and training. The artists enrolled for the full 6-week session exhibited profound growth, made all the more evident as we circled back to a few exercises and dramatic structures earlier in the summer. As they made connections in their work, they began to find more and more sophisticated choices and nuance in their storytelling. Their personal development also ramped up the learning for the 3-weekers, raising the bar for the whole group and pushing every single artist in the room to a higher caliber. This session’s performance project was to explore the concept of humanity’s relationship to judgment--how do we judge ourselves and others, and how do we react to being judged? The artists created solo and/or group scenes, and on presentation day filled the studio with truly dramatic, inspiring, and thought-provoking stories. Its these moments that remind us of the power of theatre, and it’s incredibly exciting to think of the work these artists will create as they return to their communities armed and empowered with new and more refined skill sets. While the 2014 Summer Session has drawn to a close, the atmosphere of joy, diligence, inspiration, and focus remains, and we at the Center couldn’t be prouder of the students and faculty for making the whole session one for the history books! More exciting projects are coming down the pipeline, and we move forward with cherished memories as we grow and push ourselves to grow. Stay tuned, folks! More news soon! The first 3-week session of the 2014 Summer Session really hit the ground running with immense creativity and impressive focus. With record enrollment, artists from all over the country and internationally arrived with unbridled energy and positivity. The array of artists at various levels of training in the Method contributed greatly to our concept of “spiral learning,” with newer artists learning at an accelerated rate due to the insights of the veterans, who likewise gain deeper understanding from the fresh perspective and provocative questions contributed by artists interacting with the work for the first time. Twice each week the group is split into two smaller sections, for an intimate opportunity to focus on fundamental principles and receive more individual attention, offering a valuable balance of experiential learning. Several projects were created, each allowing the training artists to build stories around specific limitations or theatrical devices. The last week saw the creation of larger projects where the seed for inspiration was a theme and each actor or group determined how to best manifest their perspective(s) theatrically. The outcome was work that was inspiring, funny and thought provoking. We also had the pleasure to experience long time student Rachel Nelson’s production, directed by company member Beth Brooks, The Urban Hermit. It was so engaging we completely forgot we were still in our studio. As the first 3-week session draws to a close, we bid a sad yet fond farewell to those artists leaving while warmly welcoming the fantastic group joining us for the next three weeks. Onward and upward to continue more challenging, in-depth training and research to empower Actor Warriors! 2014 marks the fourth year of the Margolis Method Professor Certification, and this year's session was full of energy, growth, insight, and inspiration. The Professor Certification sessions are special opportunities to connect with other educators. 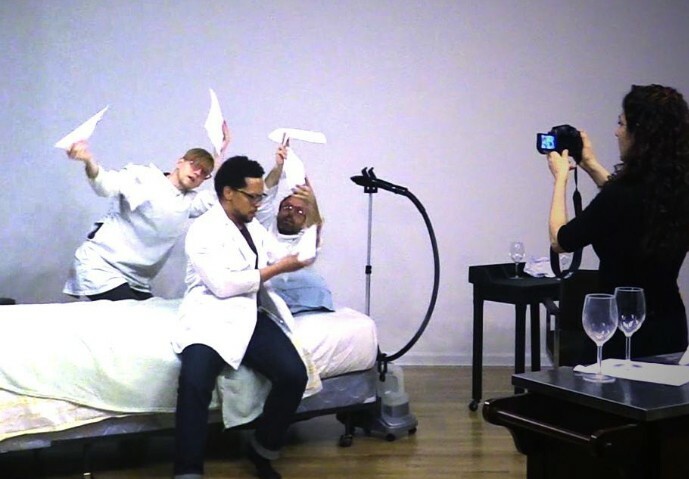 Visiting professors share the experiential aspect that any artist receives with the training, but we also work on breaking down the pedagogical techniques, concepts, and principles that are integral to the teaching of the Method. Returning Level 2 and 3 Professors joined some fantastic teachers starting Level 1, for a brilliant group with a variety of perspectives and goals. Throughout the session, every professor demonstrated tremendous growth, both in their personal artistic development as well as their grasp of the Method's tools for enriching their classes. Breakout sessions offered each artist individual attention and feedback, along with the opportunity to hone their own analytical eyes for tendencies and habits they might find in their students. Of course, it wouldn't be a summer at the Margolis Method Center without some peaceful reflection time by the river, or chatting about new insights and breakthroughs over barbecue! Thanks to all 2014 professors--as usual, the exciting exchange of ideas is a welcome kickstart to the summer, and the faculty here at the Center invigorated, inspired, and ready to welcome the incoming students to the 6 week Summer Session. After a harrowing seventeen hour journey back to New York, Jarod and I were of course exhausted but were also still exhilarated from our two week WildWind adventure. It was one of those crazy experiences where it felt as if we had been gone forever-- yet it passed in just the blink of an eye. We loved the ritual of morning training and research and truly appreciated how each artist brought their all to the studio and met the work head on. Not an easy task in the midst of long days and hours of dipping into the unknown, especially since participants came from all aspects of theatre making. Exciting! We know it’s been said before but it can’t be said enough, Dr. Charney is a national treasure! He is a true inspiration, an innovative thinker and a committed champion for his students. It would be impossible to thank him enough for the tireless hours of work he puts forth to make WildWind Performance Lab a reality and for including us in the experience. We would also be amiss if we didn’t say out loud how awesome Jason Beasley is. 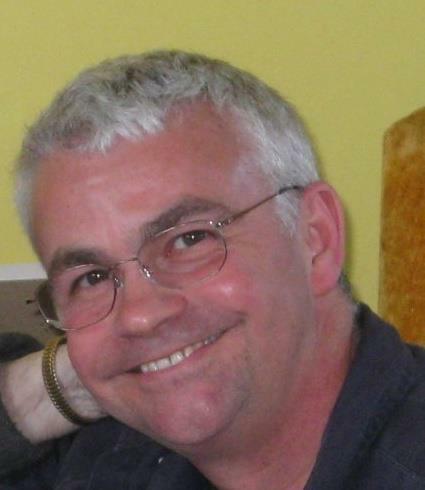 Charming, funny, efficient and generous, Jason is a perfect representative for the Lab. We were moved on many occasions by the curiosity, risk-taking and creative spirits of Randall Rapstine and Evangeline Jimenez and impressed with everyone’s willingness to jump in with open hearts and minds. We thoroughly enjoyed the artistic interaction with these artists and watching their concepts manifest in theatrical form. We missed the presence of the Irions our second week and the opportunity to work with them further. We may have had to leave Lubbock but we still feel one hundred percent committed to these projects and will follow their progress with great interest. It was stimulating and an honor to interact with so many different perspectives and backgrounds from both guest artists and students alike. WildWind Performance Lab may be in just its second year but it is already proving to be an experiment of huge national importance. We look forward to seeing where the experiment will take the Lab and what future years will bring. Let the wild winds blow, let creativity abound and let us change the world. Lubbock Texas may be hot, dusty and windy, but it is full of creativity and the home of the innovative WildWind Performance Lab! 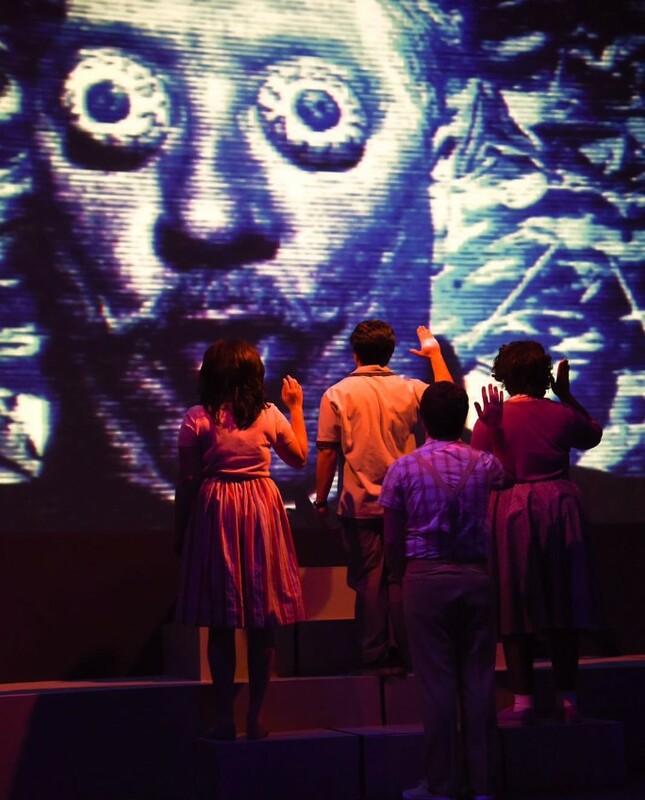 Conceived by Dr. Mark Charney and hosted by Texas Tech University this unique laboratory for theatrical exploration is in its second year. Kari Margolis is proud to be back as a master teacher and mentor and is thrilled Jarod Hanson is here to share insights and information with the students as well. Kari and Jarod are leading workshops every morning to give all the actors, directors and playwrights involved a common vocabulary. Afternoons and evenings are spent in research and rehearsal sessions for three major projects. Individual students are also creating work throughout the process. Several other guest artists and speakers are offering lectures and work sessions in all aspects of theatre making. The WildWind Performance Lab is an amazing opportunity for students to stretch creative muscles and explore new possibilities.